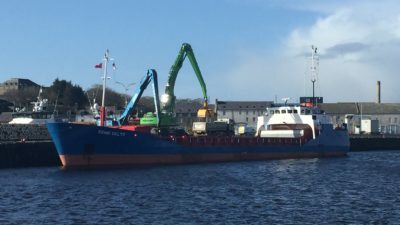 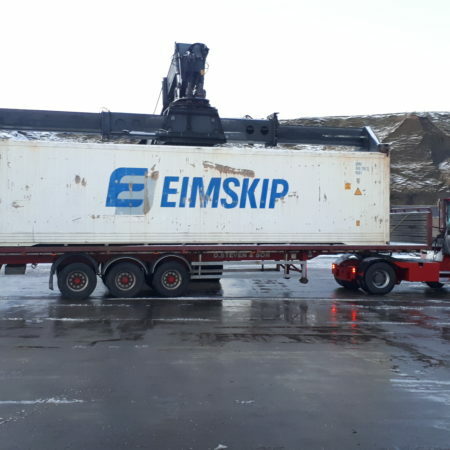 Hugh Simpson (Contractors) Ltd unloaded refrigerated cargo from Svartfoss at Scrabster harbour. 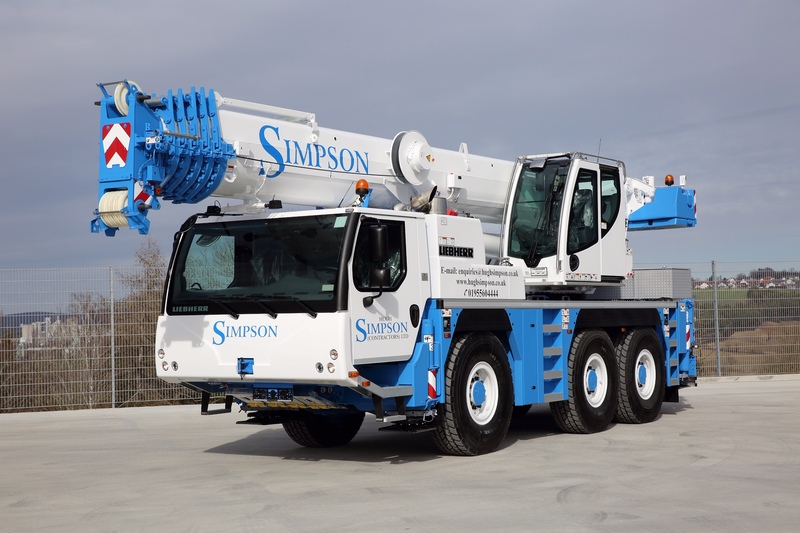 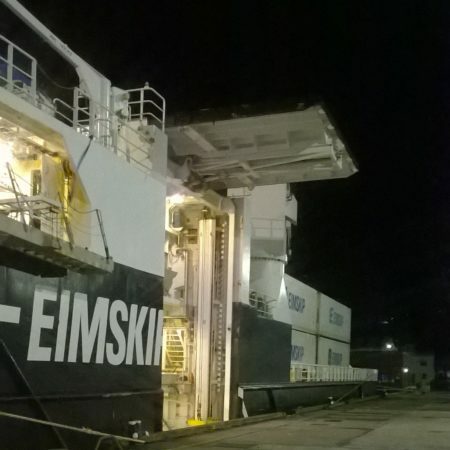 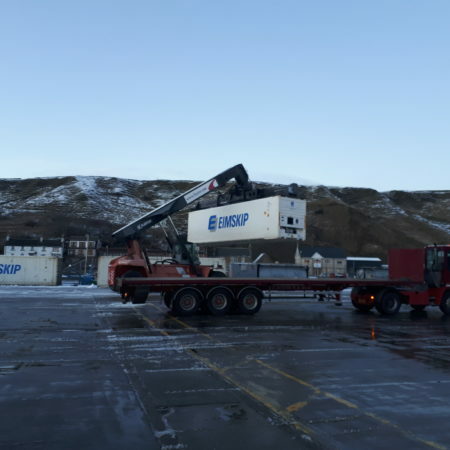 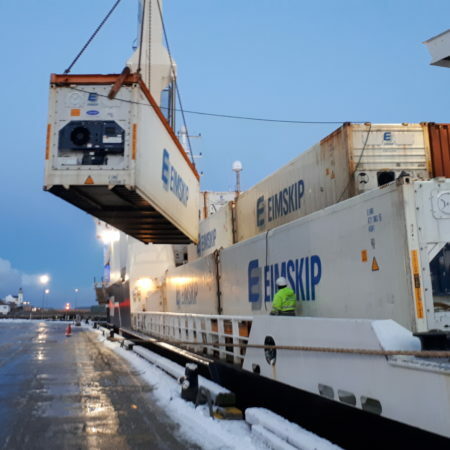 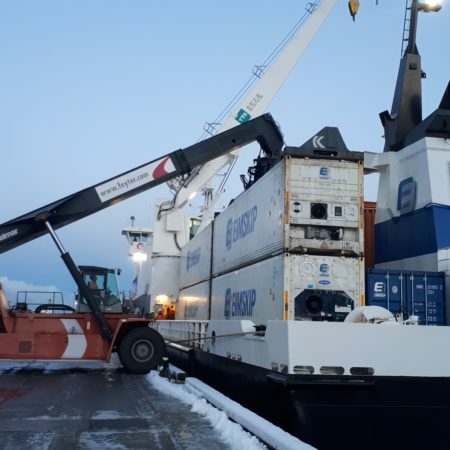 Hugh Simpson (Contractors) Ltd acted as stevedores in cooperation with Sandisons shipping, which is the shipping agent that liaises with the customer, harbour authorities, ships crew and transport company. 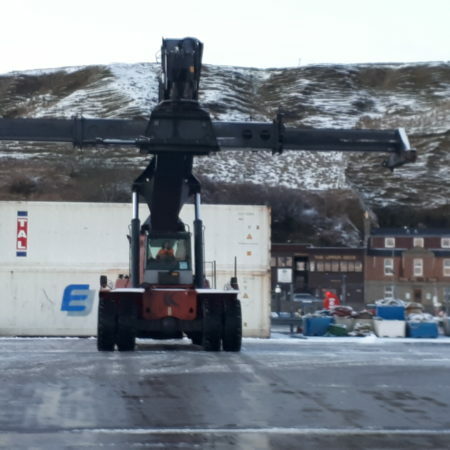 We have been involved in unloading cargo on regular basis- almost every Tuesday a ship is being discharged at Scrabster Harbour. 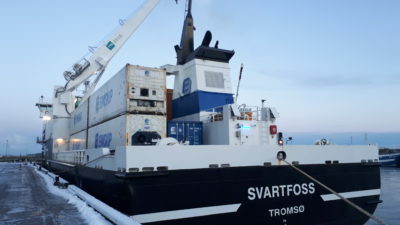 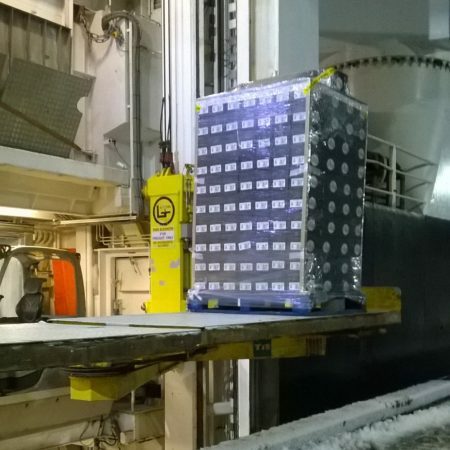 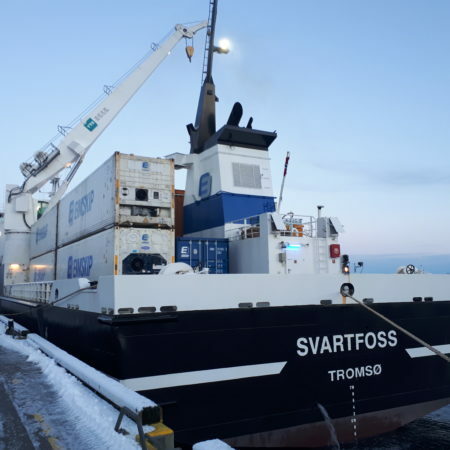 Svartfoss is a dual purpose ship and carries refrigerated cargo in shipping containers and on pallets. 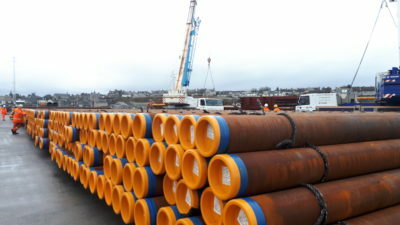 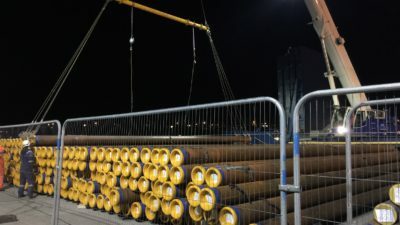 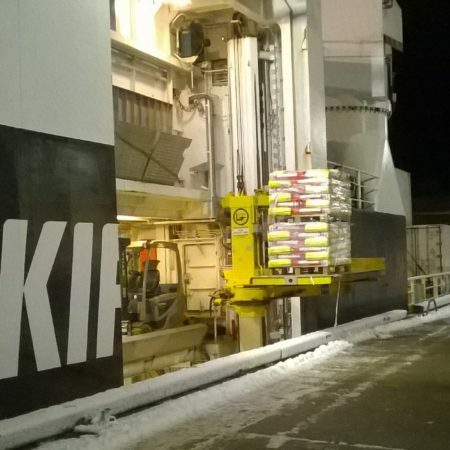 To find out more about the lifting services available from us get in touch with our team here.